Georgina Hosang previews a free event on Gender Inequalities and Women’s Mental Health. The #TimesUp and #MeToo campaigns championed by Hollywood stars and social activists such as Oprah Winfrey and Tarana Burke have shone a light on the gender pay gap (a form of gender discrimination) and women’s experience of sexual assault and harassment. They have helped empower some women to speak out about their own experiences and provided a platform to open conversations about these issues and how they can be combatted. The publication and release of various statistics and figures revealed the magnitude of these problems. For instance, in Europe women earn on average 20 per cent less than men (EIGE, 2015). In the UK over 50 per cent of women surveyed reported experiencing sexual harassment in the workplace (e.g., unwanted sexual touching) (TUC and Everyday Sexism Project, 2016). Professor Christine Blasey Ford’s recent allegations of sexual assault by Supreme Court nominee Judge Brett Kavanaugh have reignited debates surrounding these issues. This case has gripped the US, and the response has been polarising – most notably between genders and political leanings. The backlash related to the delayed reporting of this allegation of sexual assault highlights the need for better awareness and further action. This matter should concern us all, especially when considering that 20 per cent of women and 5 per cent of men in England and Wales have experienced sexual assault after the age of 16; and alarmingly 83 per cent did not report their experiences to the police (Office for National Statistics, 2018). Gender inequalities (gender discrimination and gender based violence) are the focus of a growing body of psychological research covering a range of topics, including the identification and exploration of its predictors and maintaining factors and those related to the exit of abusive relationships and circumstances (Anderson & Saunders, 2003; Costa et al., 2015; Heijstra et al., 2015). Of particular interest is the short-and long-term impact of gender inequalities, which include economic, physical and mental ill health of the individual and their children (Bécares & Zhang, 2018; Holt et al., 2008; Klonoff et al., 2000; McLaughlin et al., 2010; Stene et al., 2013; Trevillion et al., 2012). Given that there is a female preponderance for common mental illnesses, such as major depression and anxiety disorders (Seedat et al., 2009) and a greater burden of such illnesses among women compared to men (Whiteford et al., 2013), the association between gender inequalities and women’s mental health warrants further attention. This is especially true since gender discrimination and gender-based violence are avoidable. Reducing and hopefully eradicating gender discrimination and gender based violence will have a positive impact on women and society as a whole. 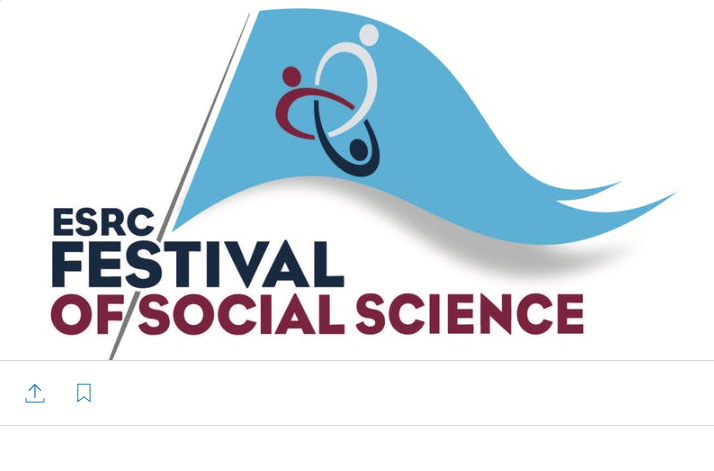 So as part of the ESRC Festival of Social Science I am hosting a public engagement event entitled: #TimesUp Gender Inequalities and Women’s Mental Health at Queen Mary, University of London on 5 November 2018. This event will include a series of talks and discussions covering issues such as the association between domestic abuse and violence, gender discrimination and women’s mental health as well as the development of trauma informed approaches to mental health care. All welcome – please visit the website for more information and to register. Bécares, L., & Zhang, N. (2018). Perceived Interpersonal Discrimination and Older Women’s Mental Health: Accumulation Across Domains, Attributions, and Time. American Journal of Epidemiology, 187(5), 924–932. Heijstra, T., Bjarnason, T., & Rafnsdóttir, G. L. (2015). Predictors of Gender Inequalities in the Rank of Full Professor. Scandinavian Journal of Educational Research, 59(2), 214–230. Trevillion, K., Oram, S., Feder, G., & Howard, L. M. (2012). Experiences of Domestic Violence and Mental Disorders: A Systematic Review and Meta-Analysis. PLoS ONE, 7(12). TUC and Everyday Sexism Project. (2016). Still just a bit of banter?